Its The Great British Bake Off again tonight, and the Signature challenge is to make 3 types of canapé including one made using choux pastry. 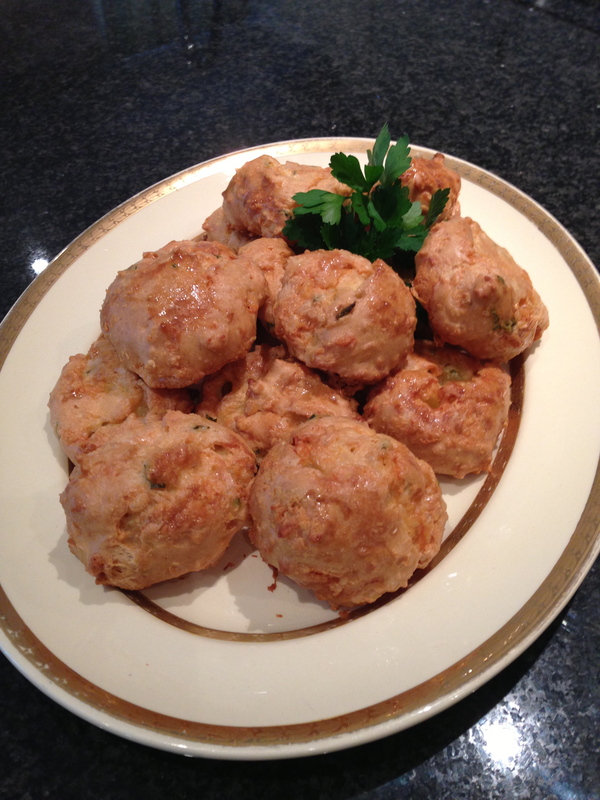 I thought this would be a good opportunity to have a go at making a gluten free version of savoury choux bun called Gougères. 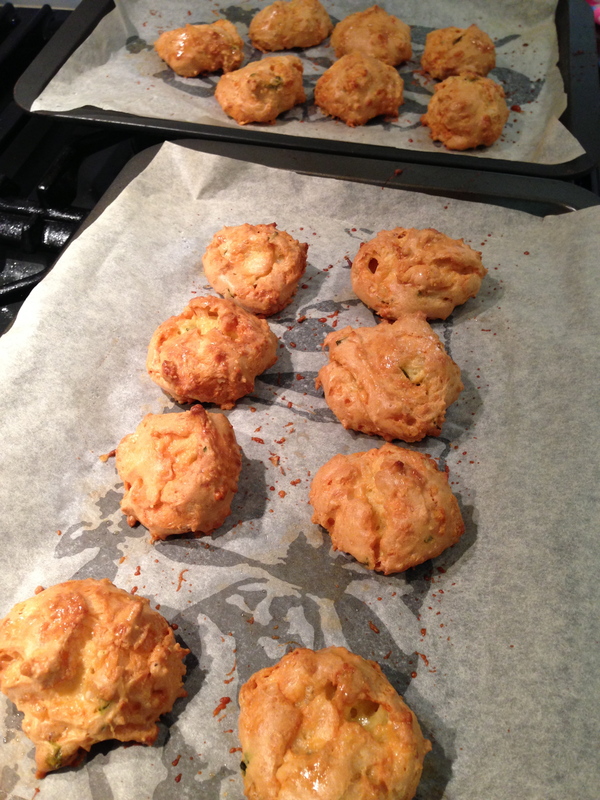 You start by making choux pastry similar to the one I made in a previous post for chocolate profiteroles. 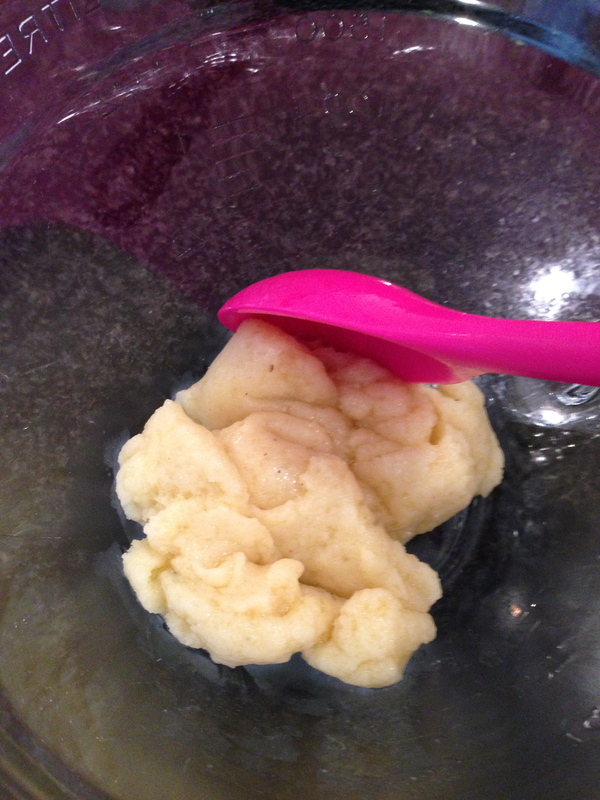 Once the butter has melted simmer and dump in the flour and stir vigorously until the mixture pulls away from the sides and forms a smooth ball. remove from heat. 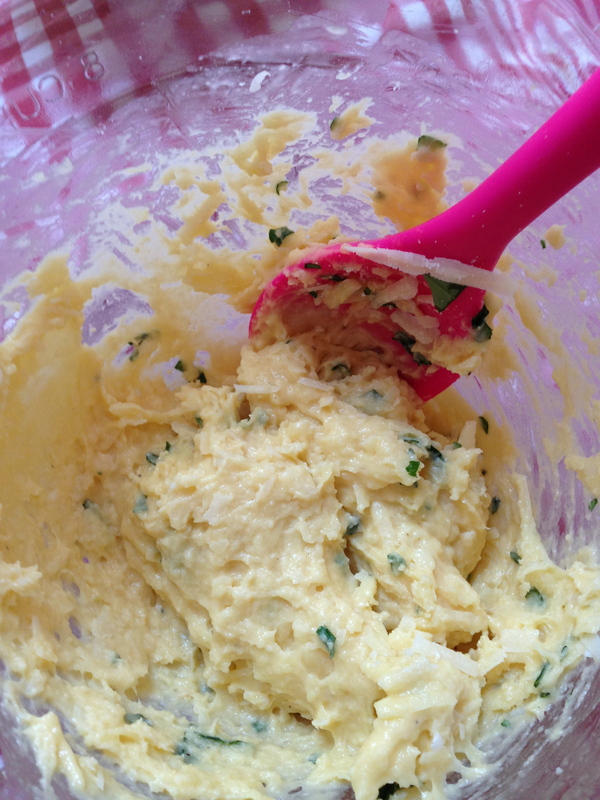 Then add beaten eggs gradually, beat well to remove all the lumps. this can take a while! 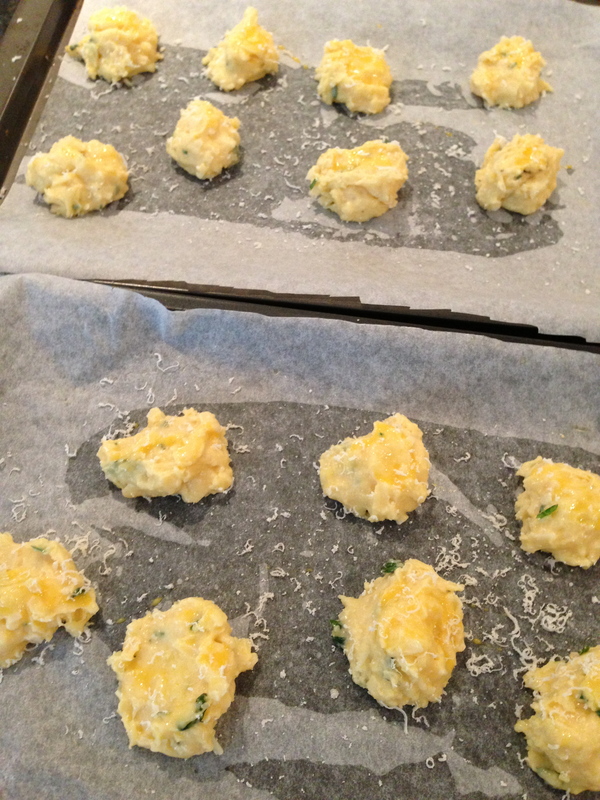 Add grated cheese and herbs mix well. 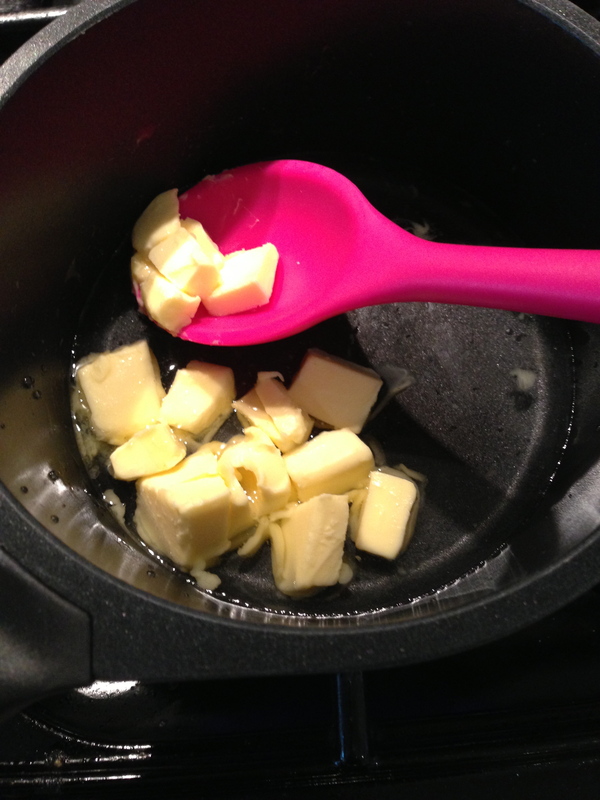 Use two spoon to place each bun on the lined baking tray evenly spaced apart. grate some parmesan cheese on top. They should be lovely and golden brown.